A Space for Business: 5 tips for a successful commercial office search | Curchod & Co. Whether you are searching for a first commercial office, upscaling your operation or moving the location of your business, there is much to consider. When you enter into what is often a long-term agreement, you must be sure that the property is right for you, your business, your staff and your future. It can feel daunting. Our five key areas for consideration seek to clarify the process and ease things along. On average, an office space should allow around 100 to 125 square feet per person. This is helpful as a rough guide but shouldn’t be taken literally. Some departments demand more storage and some individuals may be rarely present in the office. This will clearly affect your floor space calculation so take the time to analyse your organisation structure. You should go still further and analyse your projected growth to ensure that you can accommodate increased staffing numbers. Clearly, it is unlikely that you can forecast headcount precisely, but as a general rule, you should add between 10 to 20 percent more space than the current workforce needs. This will avoid, in the medium term, unnecessary location moves caused by a growing workforce. Curchod and Co have partnered with a number of office interior specialists and we can offer our clients a comprehensive space audit. Please call our agency team for further information. 2. To Service or Not to Service? The benefits of including a serviced office in your search include flexibility, shorter time commitments, and inclusive costs. This isn’t for everyone, but for those organisations who are growing quickly, they can be ideal. Agreements typically allow companies to add to or reduce space at short notice and remove the risk of committing to a 3 or 5-year lease. Payment tends to be on a monthly basis, spaces do not require furnishing and a building will often feature a fully staffed reception. 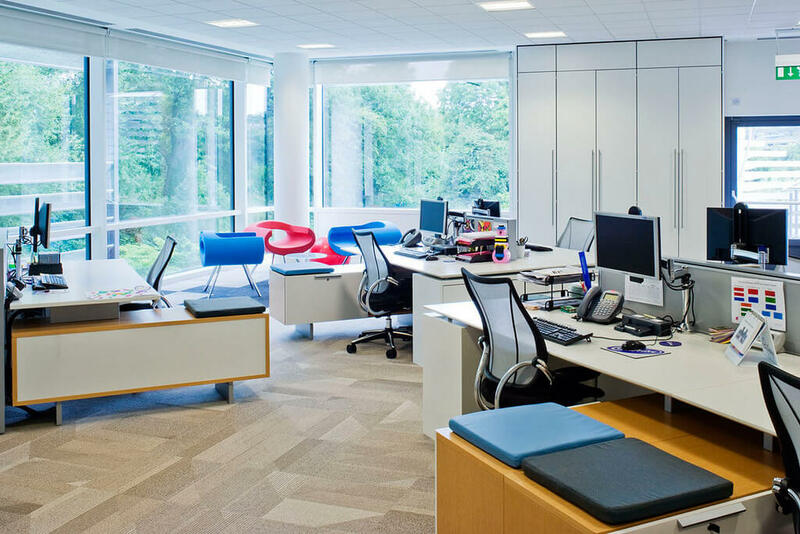 Once an organisation has become established, they often incline away from serviced spaces. The priority at this point is the space itself which, through a conventional lease, an organisation can structure in the most efficient manner for its business needs. Curchod & Co can offer traditional or serviced office space, please call our experienced agency team or view our website for further information – View our current office listings. Choosing the right location for your new office is more than finding a great town. If you are moving location, consider the commute of your key staff members. If you relocate to an area that doubles the commute of long-standing and productive staff, you could pay the price in losing those individuals in the long term. Your business environment matters. Will your organisational culture thrive in a town or a business park environment? How important are local amenities? Details of transport such as proximity to train stations and car parking facilities will make a difference not only in the commute for you and your staff but also in client accessibility. Working with a trusted commercial property agent will ease your search process and increase your access to specialist knowledge. Of course, agents and managers are typically engaged by the property owner, but their professionalism and knowledge should not be overlooked by those tenants seeking their ideal commercial office space. In aligning yourself in your search to an established and reputable organisation like Curchod & Co, offering services and expertise in everything from property management to valuation to lease agreements, you can ensure that the properties on offer to you are of the highest quality. Clearly, the price is the most deciding factor for most businesses when choosing a new or first office. The cost of quarterly or annual rent is just one consideration, though. In addition, don’t forget service charges, utilities, any required construction, moving expenses and a myriad of other associated costs that could be a factor. Financial aspects are the key to a successful commercial landlord/tenant relationship so ensuring that the ongoing costs of your office are within your organisation’s means can help to build the foundation of a positive relationship. Your new office space should be something to celebrate. So in your next search, take the time both before and during the search period to find what really works. Take advantage of the knowledge and experience of our Commercial Agency team who will be able to make the process of moving much less stressful.